One thing I avoid is engaging in debate. An issue that will surely spark spontaneous debate is a discussion regarding politics. Lately, I have been asked what truth we can learn from the Bible regarding this topic. What does the Bible say about politics? Should Christians be involved in it? I have heard this quote many times, “Religion and politics don’t mix.” But is that really true? Can we have political views outside the scope of our faith? First and foremost, the Bible is clear with the truth that the will of God supersedes and surpasses every aspect of life. The Kingdom of God takes precedence over everything and everyone (Matthew 6:33). The Creator’s plans and purposes exceed ours. His will is unbreakable. What God has purposed, he will bring to pass, and no human form of government can hinder his will (Daniel 4:34-35). The Bible goes further by stating that it is God who “sets up kings and deposes them” (Daniel 2:21) because “the Most High is sovereign over the kingdoms of men and gives them to anyone he wishes” (Daniel 4:17). A clear and simple understanding of this reality will help us see that politics is merely a human method in trying to govern itself. Throughout history humanity has tried all forms of government and ideologies. Yet, Christians lived through them. Some societies have been more accepting of Christians while others have been more negative towards them. God in His sovereignty sees all that is happening and still accomplishes His will. Even though evil men abuse their political power, meaning it for evil, God in his sovereignty and love works it for good in the end, working “all things together for the good of those who love him, who have been called according to his purpose” (Romans 8:28). I know some will not agree with this but we do not see in the New Testament of Jesus or any of the disciples taking any time or energy teaching believers on how to reform or change the pagan world of its immoral, corrupt and idolatrous ways through the government. Another reality we should understand is the fact that our governments are by nature inadequate in helping solve humanity’s problems. Men have tried all forms of governments and until now are very much divided. Humanity does not know how and does not have the heart that really cares for others. Only God truly saves. He can because it is his nature. I don’t know of any passages where the apostles motivated the believers to express civil disobedience or raise up arms to protest the Roman Empire’s unjust laws or evil schemes. Instead, what do we see? The apostles instructed the first-century believers, as well as us today, to proclaim the good news of Jesus Christ and to live lives that present plain and clear evidence to the gospel’s transforming power. Although, our main responsibility is to exalt God above all else, yet there is no doubt that our duty to the government is to obey the laws and be good citizens (Romans 13:1-2). God has established all authority, and He does so for our benefit, “to commend those who do right” (1 Peter 2:13-15). Paul tells us in Romans 13:1-8 that it is the government’s responsibility to rule in authority over us—hopefully for our good—to collect taxes, and to keep the peace. Where we have a voice and can elect our leaders, we should exercise that right by voting for those whose views are closest to fulfilling God’s will. We see examples in the Bible where Christians can be tax collectors, hold public office, perform law enforcement or military duties. All people must be free to exercise his or her faith. I do believe that the church has made a mistake in thinking that it is the job of politicians to defend, to advance, and to guard biblical truths and Christian values. 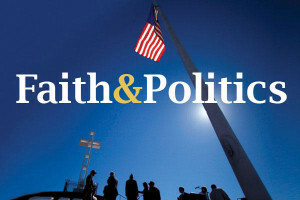 While they can have some influence in formulating bills and laws in support of the biblical standard, yet, they are limited by their own selfish desire for trying to win in the next election. In fact most political parties or politicians find strategies on how they can manipulate people of faith to their advantage. Unsuspectingly, Christians get duped by the more deceitful politicians. It is often helpful to be reminded that the epicenter of the Kingdom of God is not located at 1600 Pennsylvania Avenue, the Malacanang Palace or any other government building. While there have been good leaders, yet history and today’s news tell us that there is much corruption, wickedness, greed and immorality among our politicians. An obvious proof that these leaders do not represent God’s ways. Although we can be assured that the purposes of God have never been thwarted at the hands of men – that is just biblical reality. Like you and me, Presidents Barack Obama, Benigno Aquino or any other national leaders have human frailties and are creatures of dust. Because they hold the top office, they are worthy of our respect (Eccl. 10:20; 1 Pet. 2:17), but never our hope. Our hope is Christ. The church is unique. It is a spiritual entity moved by God’s presence and direction. Our mission does not lie in changing the nation through political reform, but in changing hearts through the Word of God. Our Christian directive is to spread the good news that Jesus Christ is our Lord and Savior (John 3:16). He is the Way, the Truth and the Life. We believe that real change will happen only when Christ changes the hearts of individuals. Believers throughout the ages have lived, and even flourished, under antagonistic, repressive, pagan governments. This was especially true of the first-century believers who, under merciless political regimes, sustained their faith under immense cultural stress. They understood that it was they, not their governments, who were the light of the world and the salt of the earth. They adhered to Paul’s teaching to obey their governing authorities, even to honor, respect, and pray for them (Romans 13:1-8). More importantly, they understood that, as believers, their hope resided in the protection that only God supplies. The same holds true for us today. When we become followers of Jesus Christ, we become the light of the world as God has intended for us to be (Matthew 5:16). Political leaders are not the saviors of the world. The salvation for all mankind has been manifested in Jesus Christ. God knew that our world needed saving long before any state government was ever started. He revealed to the world that deliverance or real freedom could not be accomplished through the power of man, his financial strength, his armed forces, or his ideologies. Peace of mind, contentment, hope and joy—and the salvation of mankind—is accomplished only through Jesus’ work of faith, love, and grace. For those of us who live in countries that value freedom, we are certainly blessed. Yet, freedom is a two way street. If we are going to enjoy freedom for our families, and ourselves we have to widen freedom so others can enjoy it too. And that means tolerating the views of others, even if we are not in agreement with them. One of the ideals the United States was founded upon is the Christian virtue of respecting the right of others to disagree with us. Did you know that Jesus even taught us to love our enemies? I believe we are called to rise and go beyond arguments of Republicans, Democrats, Independents, Liberal or Conservative and to never overlook that we are children of God first and foremost. The world is already full of bad news. What people need today is more good news. They need to hear of God’s love and forgiveness. They need to hear that God is in charge. That he sent his Son for them because of his steadfast love. They need to know the wonder of the Incarnation and what it means that Jesus became one of us so we could become like him. They need to hear about the blessings that come from having a personal relationship with God through his Son, Jesus. They need to know the blessing of mercy, the hope of reconciliation and the grace of forgiveness. Though Jesus brought about the seeds of demise for ancient Israel’s legalism and Roman paganism, he focused his efforts on a much more important revolution. 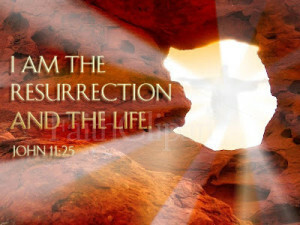 He conquered sin and death on the cross and in the resurrection.